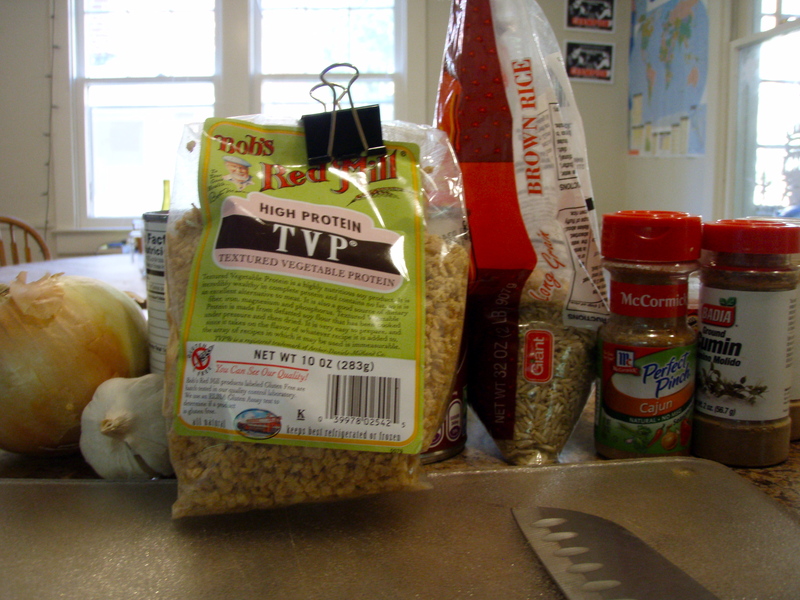 * Inspiration: I found the weirdest thing in a kitchen cabinet the other day… TVP! TVP stands for Textured Vegetable Protein and is basically dehydrated defatted soy flour and is a good meat substitute because it has no fat. I had never cooked with TVP before but it caught my eye at the grocery store and i decided to give it a whirl. It ended up being a really easy and pretty delicious new house fave! 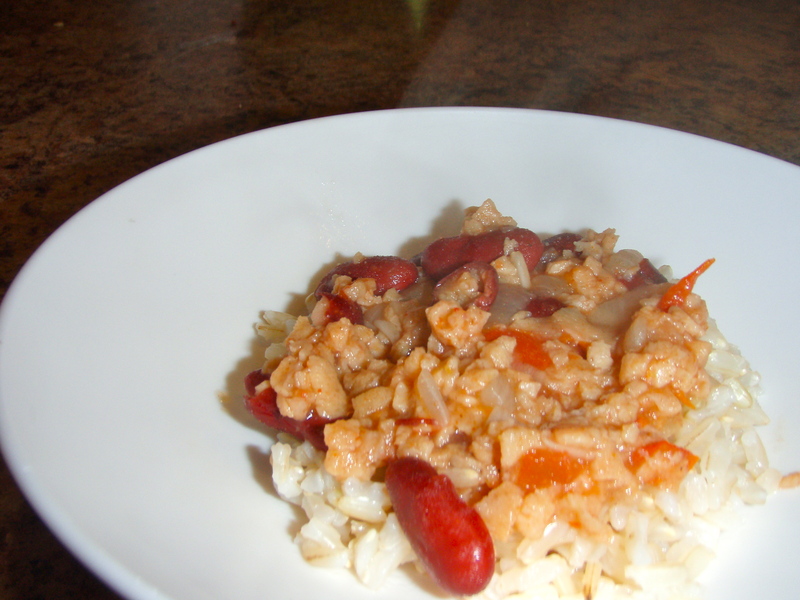 Since I had never cooked with TVP before I decided to check out the Bob’s Red Mill website for some recipe help and this Red Beans and Rice recipe was my inspiration. Dice the Onion, Tomatoes, and Garlic while bringing water to a boil. After the water reaches a rolling boil, add the diced veggies and let boil until tender. In a separate pot begin cooking your rice. Reduce heat and add Beans, TVP, and Seasonings. Cook for about 15 min. Vegan Red Lentil Stew packed with delish veggies and EXPLODING with flavor! * For this recipe i actually consulted a cook book (gasp! shocker, I know). 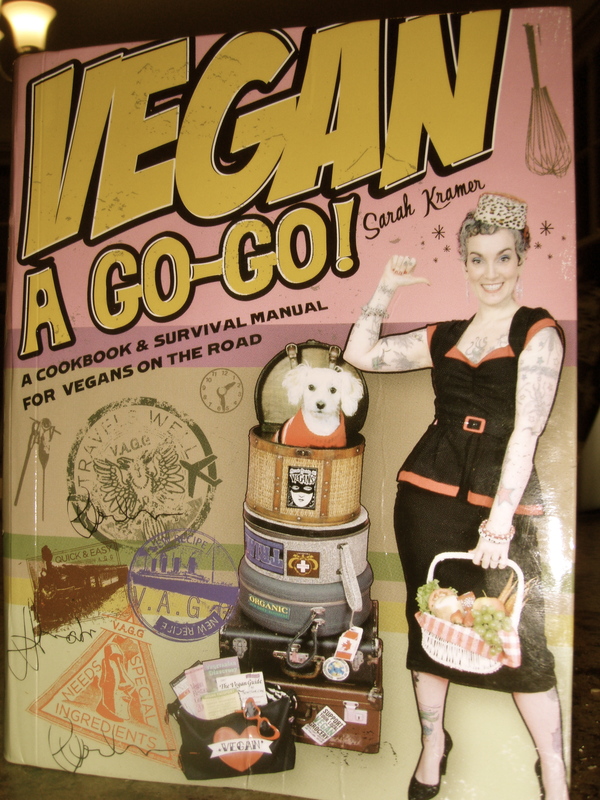 The real recipe came from the AMAZING book Vegan A Go-Go by the SPECTACULAR Sarah Kramer (my vegan cooking idol). Unforch, being a college kid/ novice in the kitchen/ not properly prepared we didn’t have half of the things the recipe called for. So below find my interpretation of Kramers “Cauliflower Red Lentil Soup”. And if you’re feeling brave I DARE YOU to tackle this delish dish and make it your own too! Dice Onion, Tomatoes, and Garlic and grate the ginger. Pre cook veggies until a bit tender but do not let them become overly soft. In a large pot on medium heat combine oil and onion. Heat onion until it becomes translucent. Add ginger, garlic, cumin, rep pepper flakes, and turmeric. Cook for about 2 minutes, stirring constantly so that the mixture does not stick. Add the veggie stock, veggies, tomatoes, and lentils. Bring to a boil, reduce heat, and cover. 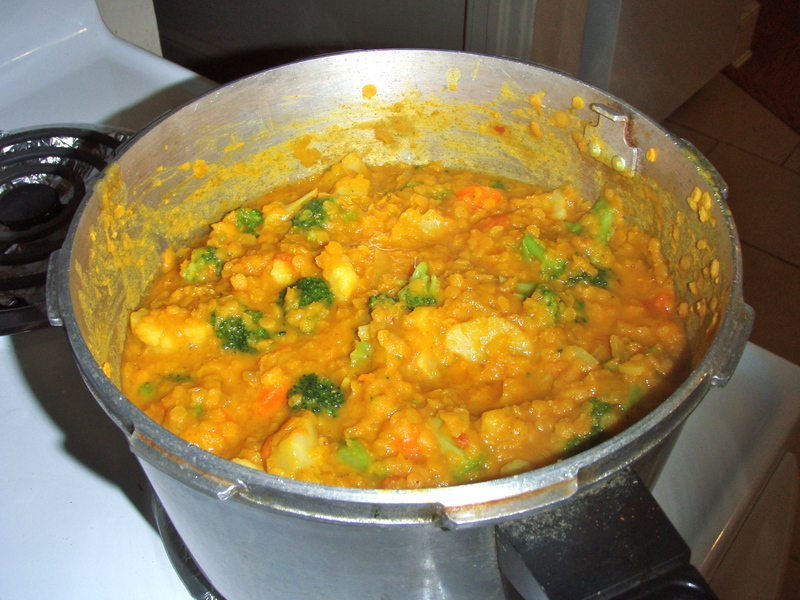 Cook for about 25 minutes or until lentils and veggies are adequately cooked. Remove from heat and let sit for about 5 minutes before serving.